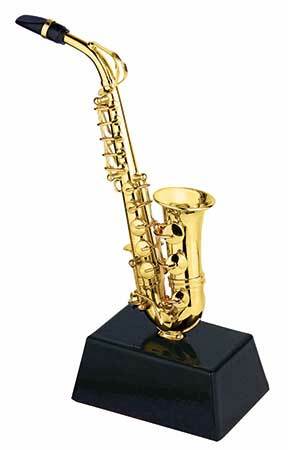 Miniature Saxophone on Stand – The Miniature Saxophone on Stand is an awesome gift idea for anyone who loves the sax. Crafted with such exceptional detail you would think it was playable! It even has a wooden reed! This miniature comes with a sturdy base with a felt bottom so it won’t wobble. A cool little piece of decor that would be perfect in the home or office. Approx. 4.5″.